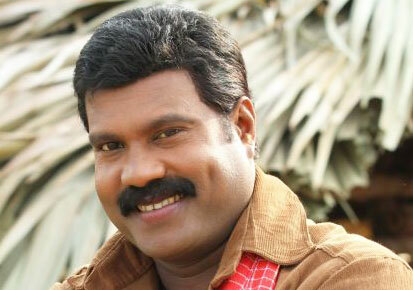 Kochi, March 18 (IANS) The family of Malayalam actor-singer Kalabhavan Mani, who died on March 6, on Friday said there may have been foul play as forensic experts said insecticide was found in the man’s body. The revelation led the actor’s brother R.L.V. Ramakrishnan to reiterate that he suspected foul play in Mani’s death. He said his suspicion was on those people who were with the actor before he fell ill on March 4. Mani, 45, who acted in 200 films in Malayalam and other languages, was admitted in a hospital here on March 4 in a serious condition. He died two days later and was said to be suffering from a liver ailment. After his death, hospital authorities reported the presence of a chemical in the body, leading to speculation that he may not have died a natural death. Mani allegedly consumed liquor in the company of some friends in his outhouse near Chalakkudy in Thrissur district where he took ill.
Ramakrishnan said he suspected that those who were with the actor tried to destroy evidence by cleaning the place before the family and police reached the scene. Police have since sealed the actor’s outhouse. The actor’s wife Nimmi said on Friday that Mani could not have taken his own life. “I was told about Mani’s admission in a hospital by his brother the next day. We want the truth to come out. He came up in life through hard work… He will never ever commit suicide,” she said. She denied reports there was discord in their family life. Popular TV artiste Sabu was questioned and then let off. He was reportedly present at the outhouse but left just before Mani fell ill.
“I was in Chalakkudy for a shoot that day and after… I and another actor visited the outhouse. There were quite a few people at that time and I left after some time,” Sabu told the media on Friday. Home Minister Ramesh Chennithala said the police probe was headed in the right direction. “The report will be out very soon. We will then take it forward,” he said. "I have no regrets. I have taken prison sentence in a positive way"